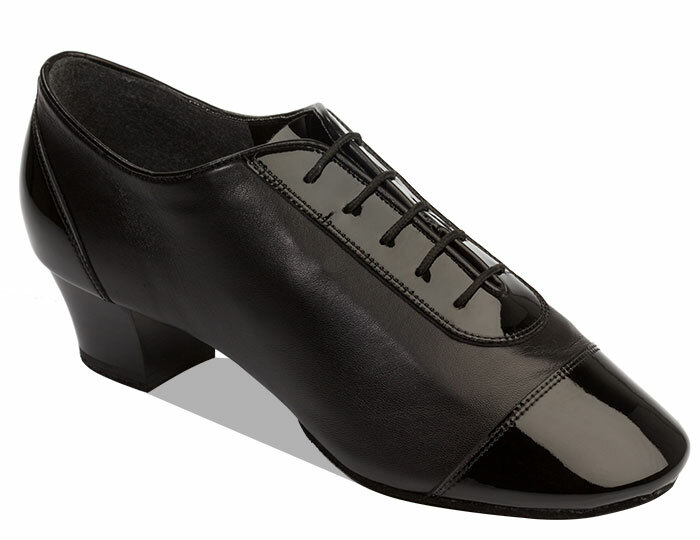 Mens SupaFlexi Latin Shoe in extra soft Black Patent Leather/Lycra. Slim fitting and split sole for maximum flexibility. 1½" Latin Heel.